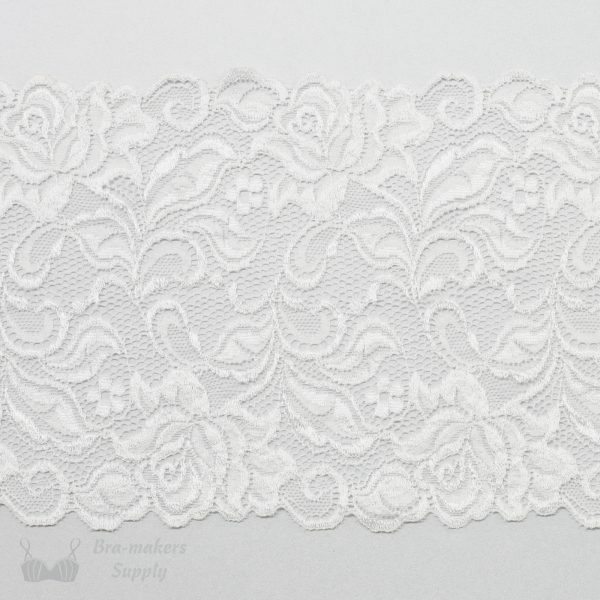 Cream stretch lace, buttery-soft with a scalloped edge and pretty rose design. 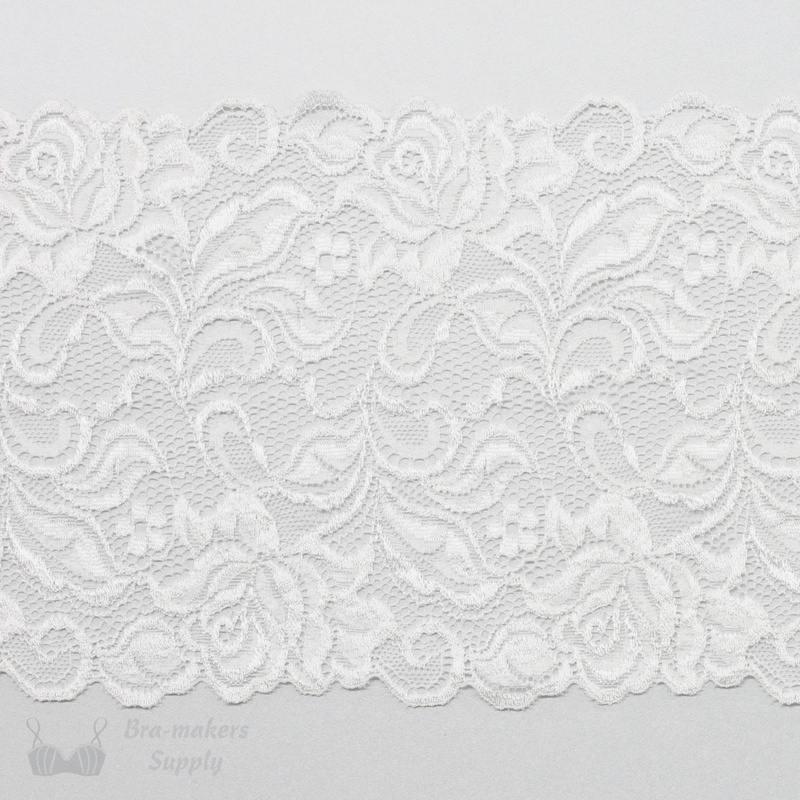 Width: 6ins (15cm). Co-ordinates beautifully with cream, chocolate and navy duoplex fabric. Sold by the metre.